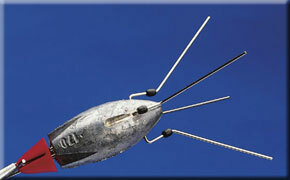 The bomber is one of the only terminal rigs which requires a Gemini SRT spring on each hook snood. This is because both hooks are clipped down to the same clip on the Impact Lead. 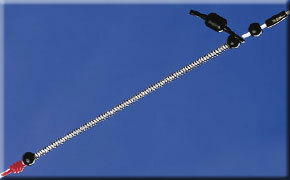 With other rigs snoods are clipped to the Cascade swivel below and the tension of one SRT spring on the top snood is transferred through the rig. On the bomber the snoods are independently dipped to the same bait clip and both require tension. -Breakaway sell a BB clip that allows two hooks to be clipped to an Impact Lead more efficiently. 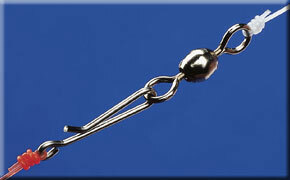 Without this clip, two large baits on an Impact Lead can wobble during the cast or release prematurely. -You can make the rig using an Impact Shield, but the Impact Lead’s is better. -When you clip the baits to the Impact Lead to cast, make sure they are balanced and as streamlined as possible. 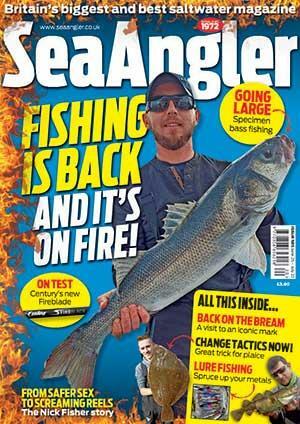 Use similar-sized baits, lugworms are ideal, for the best effect. Two over-large or bulky baits can cause the lead to tumble or spin. -The bomber rig can be constructed with a Cascade swivel tied in the lower snood, loop rig style, so that the top and bottom hook can be staggered behind the Impact Lead. This is the answer to using very large crab or squid baits. -Constructing the hook snoods of different colour lines helps untangle them. 1. 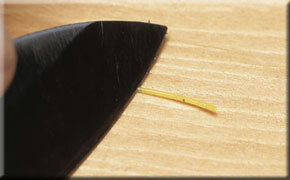 Cut the rig line at an angle with line clippers or a sharp blade to form a point. This makes it easier to thread the components on the line. 2. Now thread on a crimp, bead, 45lb swivel, bead, SRT spring, bead, crimp, bead, swivel, SRT spring and finally another bead. 6. 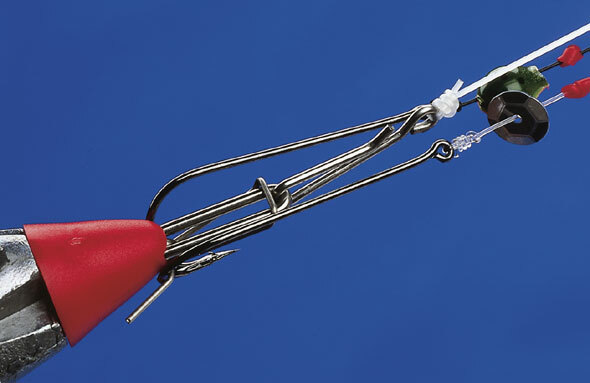 Position swivels evenly over the rig’s length and squeeze crimps. The stop knots can be moved closer to the beads, but wet them first. 10. Tighten down the stop knots and crimps so that the hook snoods are taut. Stop knots, which are adjustable, make this easier than when using crimps.